Here's another new 3D gadget for you. It pulls the wheels and gear apart. The linked file has a larger wheel cutout, sized for the SD70, which I believe is the largest diameter wheel. The cutout for the gear is sized for the larger 2-axle gears. The jig requires three #10 screws and nuts. I found with fine thread screws, I could turn them by hand, even with gears that hadn't yet cracked. Really cool.....again. That device looks very helpful as well. Any chance of you offering the completed version of this for sale also? We could pick up the screws locally. Yes, I'd do the same deal as the blocks: $20 shipped. Marco: this should work for any of the USA Trains engines. I imagine it would work for the Aristo Dash 9, but I’ve never seen one of those axles. I’ll connect offline about getting one of these to you. Cool tool, Eric, thanks for sharing. I don't know that i need it right now, but I do have several of those locos so may need it one day. I'll download it for future printing. 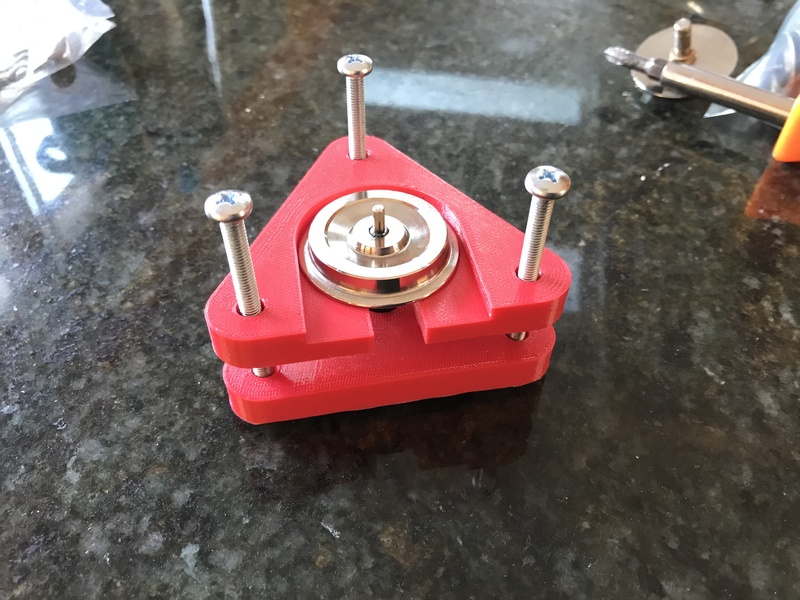 What filament are you printing it with? I’m just using generic PLA for both this and the gauge blocks. It’s plenty strong for both. The Dash 9 is probably better served with a puller that presses on a screw in the half shaft. The taper fit probably requires this. 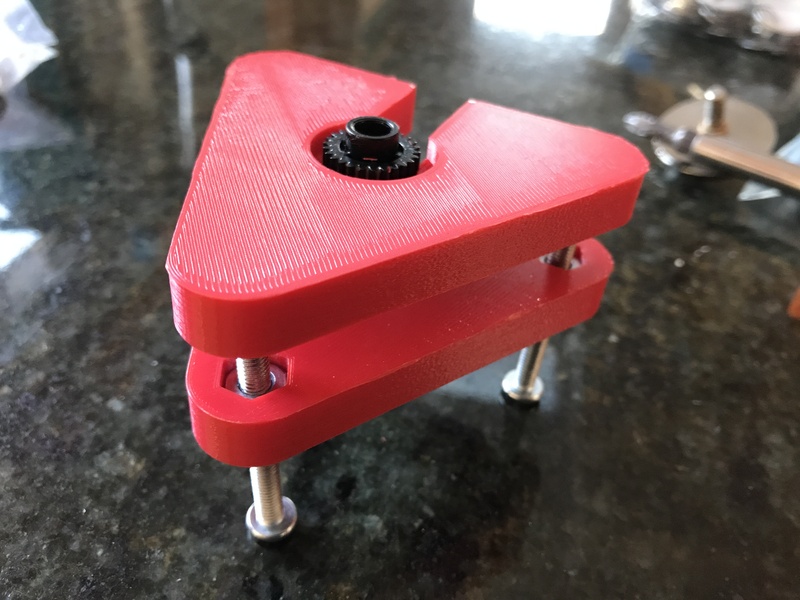 If you used a puller like the USAT one, you would most likely rip the metal half axles from the nylon gear and strip the small holes that hold the half axle to the gear. 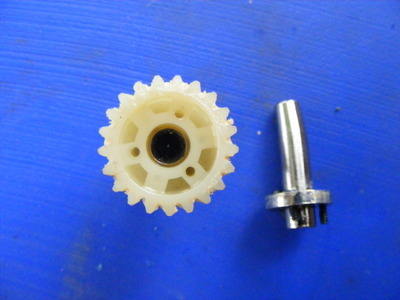 In the picture below you see a half shaft removed from the gear, and the small screws that attach it. Oh yeah, that‘s a totally different animal. Thanks, Greg.